Fasten your seat belt because it’s high time to foray into the Destiny 2 world. Mark your territory with some amazing tips and tricks at your disposal that will make you an unstoppable force. Before we get started with the amazing tips and tricks for your survival in Destiny 2, Let’s get familiar with some of the amazing new collection of firearms that have been introduced in this game: Good news: Veterans can now travel their way into the Curse of Osiris and the Infinite Forest. Starting with the fan favorite shotgun from the predecessor- Destiny, the Lord of Wolves. This gun still remains the same in this part of the game. For all newcomers, this gun shoots solar shrapnel at your enemies along with earning you a punch in PvP mode. This gun helps you see through the concrete walls and produce damage on multiple opponents in a single shot. Although, this gun will only be available after every three weeks. This two-tailed fox exotic launcher is going to wipe off the grin from your opponent’s face and will be of high assistance in PvP mode, so you better not miss it for grabs. 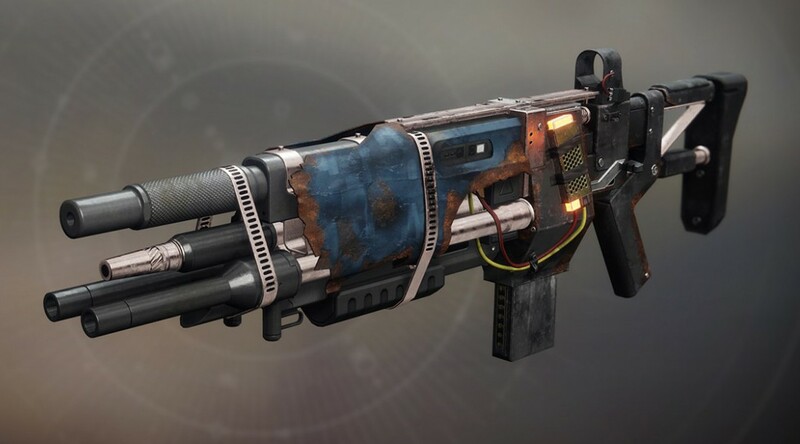 The Cerberus+1 Exotic Auto Rifle has fierce four barrels and the good part about this gun is that it shoots random bullets on your enemy. There’s a faster way to level up your character up to 20 or even 25 in case you own Curse of Osiris.Here’s how, usually, the power levels are increased on the basis of your possessions i.e. guns and armors. You can participate in public events, crucible combats, and other Destiny 2 events. They will help you increase your levels quicker by offering you weekly milestones, that will guarantee a rise in your levels. Engram colors indicate the rarity of their existence. For instance, uncommon Engrams are green in color while common ones are in blue color. Similarly, legendary Engrams are blue in color while purple is for legendary Engrams. These Engrams have great significance in the game since they carry useful artillery items such as armor shades, armor pieces, spaceships, and fancy emotes. If you’re wondering why Xur- the seller is so important, you should know that Xur sells four Exotic items every week which include armor pieces and a gun for Titan and Warlock. The best part is, you can now keep a track on him by putting a marker on his location on the map. With all the new inventory in the game, Destiny 2 has added another challenge in the raid which leads you to the Leviathans who are known to put up a fight against the Guardians. This thrilling experience is what makes the Raid the best part of Destiny. Join or create a clan and face challenges together. Even if you end up in a difficult situation, there will be someone who will back you up and get you out of trouble. If you’re looking for some real action and are wondering that forming a clan will make it easier, then try out the Crucible mode, even the team of four won’t be able to make it easy. For those of you who want to go all in, there is a raid mode, which offers some of the meanest challenges of the game. Raid allows a team of six to face hurdle filled activities. Destiny 2 has been associated with very mixed reviews since it came out. Needless to say, the new features are what makes it worth a try and slowly the fan following of this game has begun picking up its pace. So, if you’re wondering whether you should go ahead with this game or not, we suggest you do as it is an action-packed thriller and you won’t regret going for it. You can also consider reading our article on Handy Guide to Destiny 2.